KG Power Systems defines green as sustainability of a company’s bottom line while maintaining environmental stewardship. We strive to improve your bottom line by eliminating both noticeable and hidden waste in a facility’s compressed air, electromechanical, pumping, and HVAC system. Our focus is on upgrading both reliability and efficiency with the objective of reducing downtime, lowering monthly costs, reducing your carbon foot print, and sometimes even a positive cash flow. 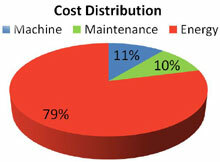 Many times a green project doesn’t get considered because of its larger upfront cost. Don’t fall into this common trap without fully understanding the reduced variable costs that follow. Our main objective is to help our clients stay informed and make decisions with confidence. This process usually starts with a comprehensive energy and reliability audit; everything from a simple walk through in your facility noting areas of improvement to the utilization of an IntelliSurvey to record power usage to air flow of your Compressed Air System. 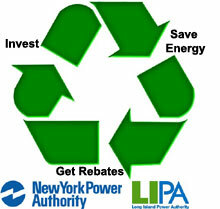 New York State Agencies like The New York Power Authority and The Long Island Power Authority will pay you for upgrading the efficiency of your equipment.